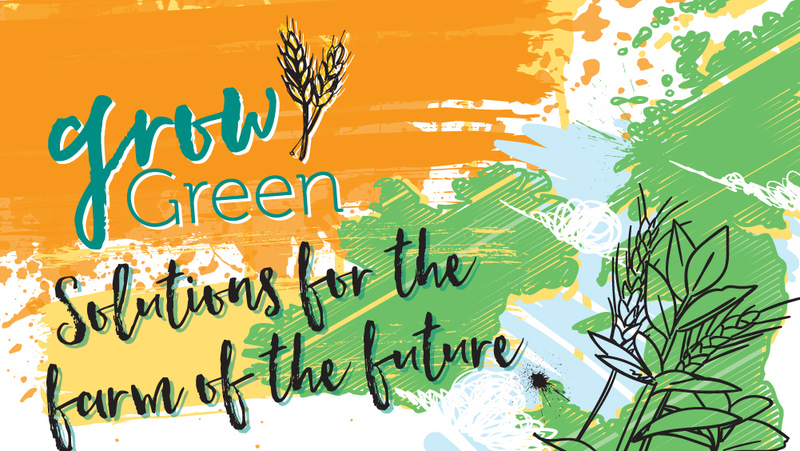 LATEST NEWS: Join the inaugural Grow Green Conference to consider how the shift towards plant-based will impact on land use, the environment and farmers. 11th April 2019, British Library, London. Find out more here. The Vegan Society and New Economics Foundation have launched a ground-breaking report in the next phase of the Grow Green campaign. This important report outlines how climate change can be tackled through plant protein agriculture and what policies could encourage this transition. The animal farming sector’s impact on the planet has been persistently neglected – in both policy and practice – for decades. Our Grow Green campaign aims to tackle this with a shift towards plant protein agriculture. Our first Grow Green report outlined the ways that a transition away from animal farming and towards growing protein crops for human consumption, not only benefits the millions of farmed animals raised for slaughter each year, but also the health of the population and the health of our planet. The magnitude of the threat of climate change and the importance of reducing greenhouse gas (GHG) emissions over the next few decades makes reducing our reliance on animal farming in countries such as the UK, an essential solution. Click the relevant button below to find out more about the Grow Green campaign, our reports, and how you can get involved. The global contribution of animal farming to GHG emissions is agreed to be at least 14.5%, more than emissions from all transport combined. UK residents currently eat an average of around 50% more protein than recommended in a healthy diet. A YouGov poll held in the UK in 2013 found that a quarter of respondents said they had reduced their meat consumption over the previous year. The poll also identified a higher percentage of people willing to consider eating less meat in the future. The UK provides good conditions for growing plant proteins for direct human consumption, such as fava beans, peas, hemp seed, or sweet lupin. However, the UK currently assigns only 16% of its agricultural land to growing protein crops, much of which are used to feed farmed animals. A Grow Green case study. Hear about the reasons why Jay moved away from beef farming and into growing crops for human consumption. What would a world of sustainable plant-based agriculture look like? Take a tour around Tolhurst Organic Farm. Read about farmers from across the world who are successfully growing crops for human consumption without animal inputs here. The Vegan Society launch their second report in their Grow Green series in collaboration with the New Economics Foundation. The Vegan Society’s Grow Green campaign sparks the first transition from animal to plant agriculture. You can find out more here.